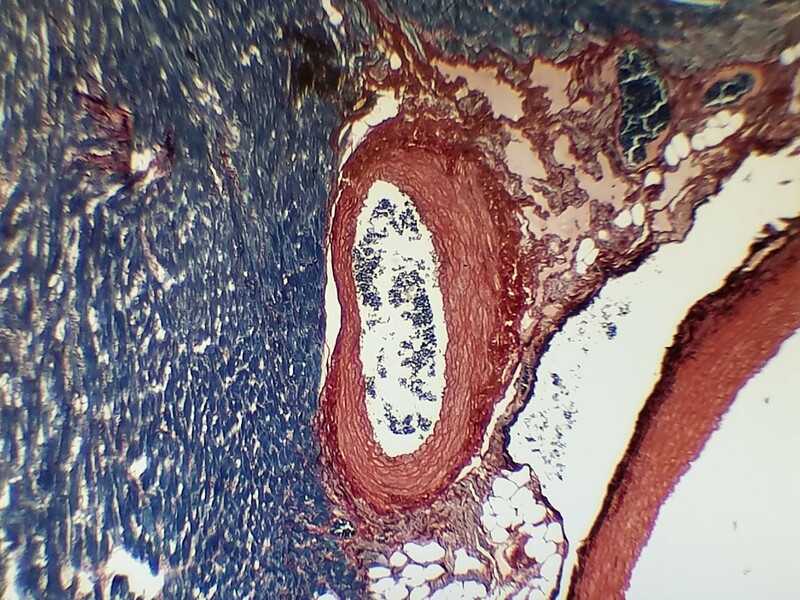 Our Rapid Phosphotungstic Acid Hematoxylin (Rapid PTAH) Stain kit is used to demonstrate cross-striations of skeletal muscle as well as fibrin and collagen. Used on formalin fixed, paraffin embedded tissue (FFPE). Rapid PTAH is not only quicker, but also a safer alternative to the standard PTAH since it is mercury free. Muscle striations, fibrin and nuclei are stained various shades of blue while collagen, reticulum, basement membranes and cartilage are stained various shades of red to red-brown. Solution A- Langeron’s Iodine, Solution B- 5% Sodium Thiosulfate, and Solution C- Phosphotungstic Acid Hematoxylin.